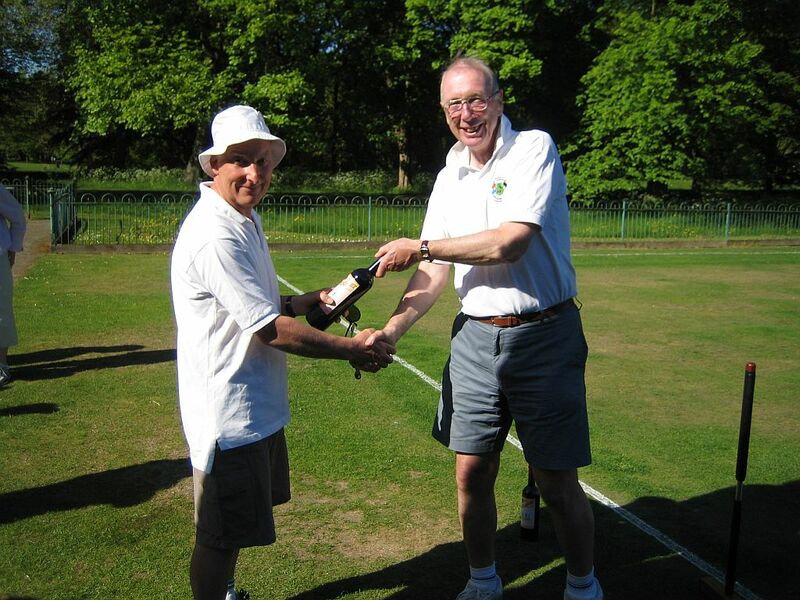 As a repeat of last year's popular event, on Saturday 22nd May the club staged a Gymkhana. 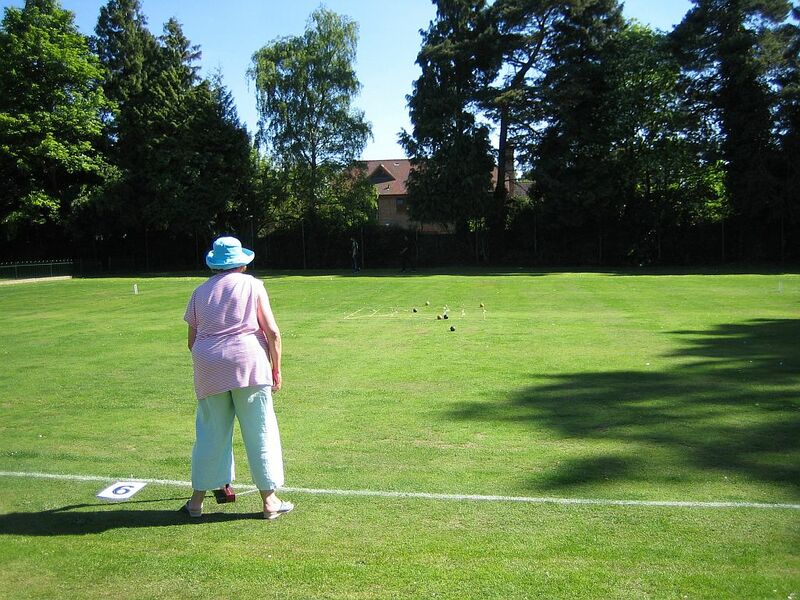 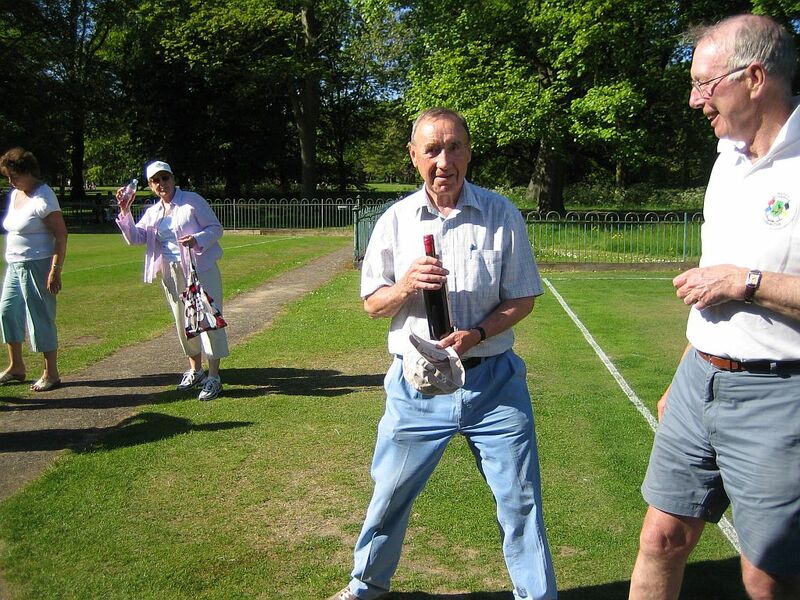 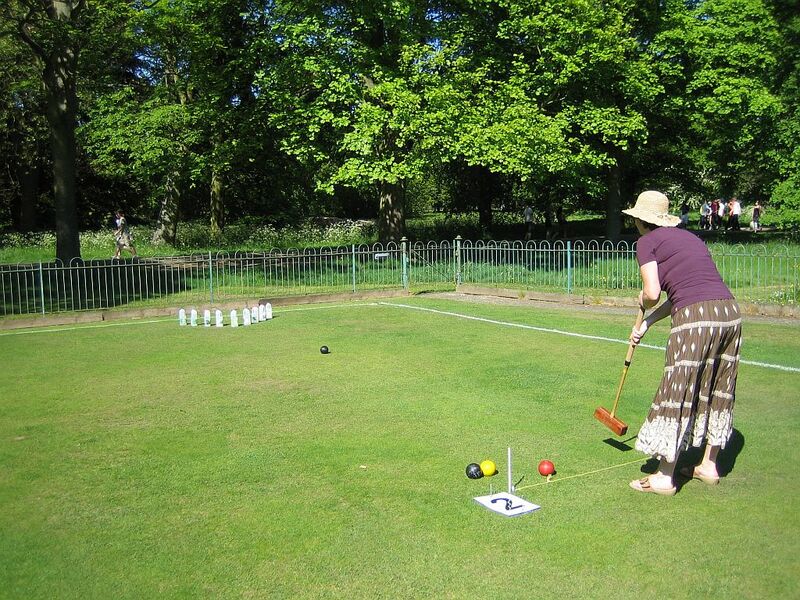 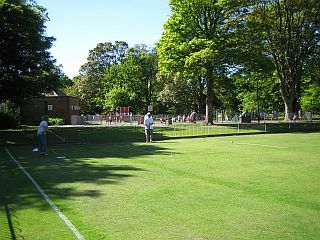 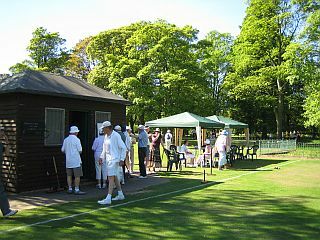 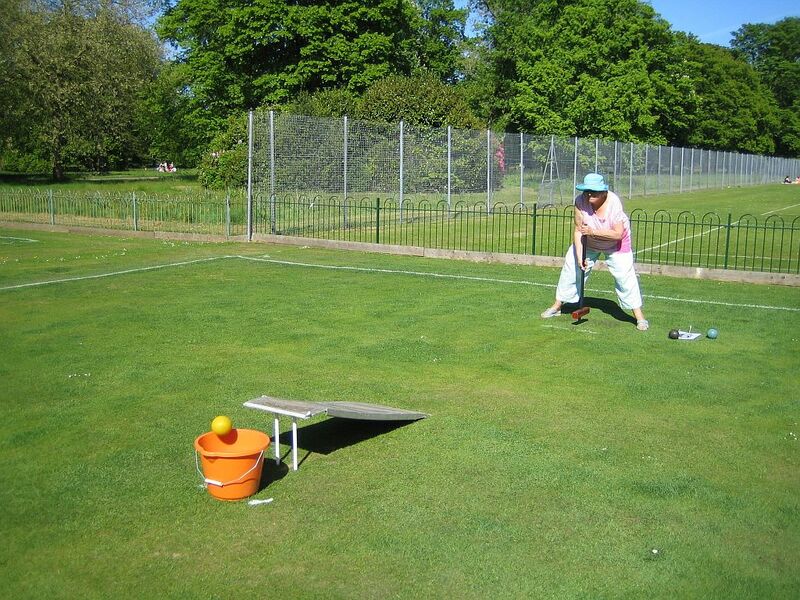 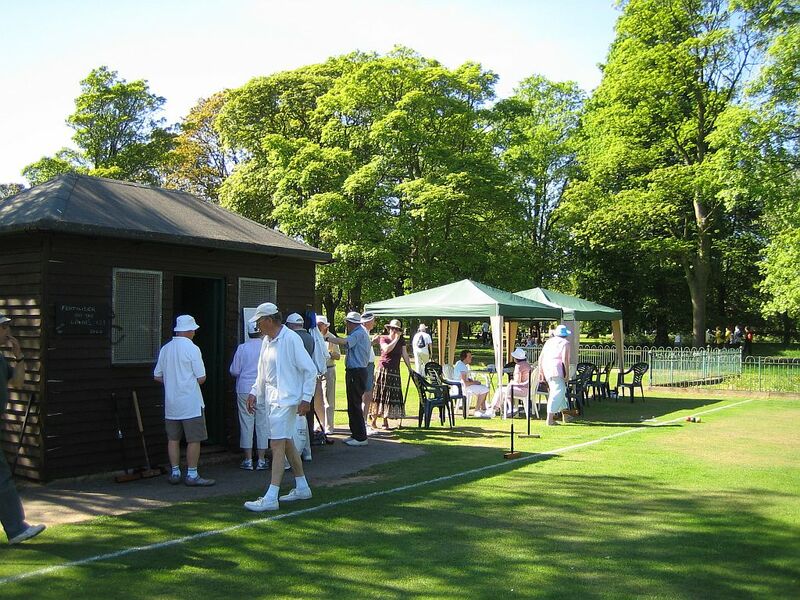 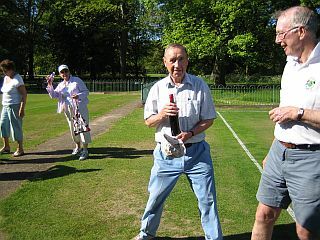 The competition took the form of a series of 10 short challenges of various types, most with 6 attempts, and all of which involved the use of croquet mallets and balls. 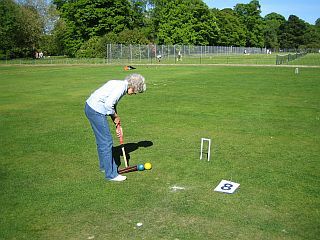 The resemblance to the game of croquet stopped there! 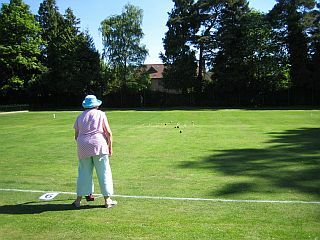 By good fortune the weather had finally decided that it was about time to behave like summer, which was a big bonus. 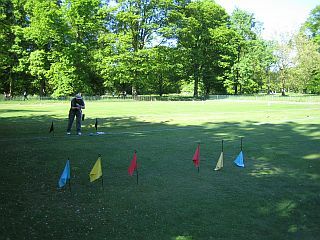 # 'Peg out': hit the peg from 7 yards. 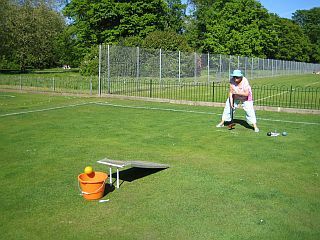 # 'Turn left': run hoop 3 from the east boundary in 2 shots. 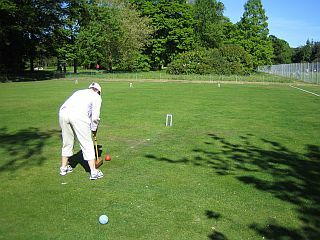 # The finale: starting from the south boundary, use as few shots as possible to run hoops 1, 2, 3, penult, and then peg out.